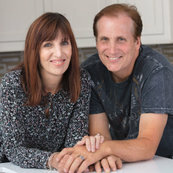 As the second step in our design phase I introduced the couple to houzz.com and they were inspired by so many of the wonderful photos they found. The homeowners sent me their ideabook. and here is what they described they wanted. "Our primary goals for this renovation are to remove the pre-existing jacuzzi tub and replace it with a double sink vanity, remove the pre-existing single sink and replace it with a storage armoire for linens, cosmetics and pull-out laundry bins, and to remove the pre-existing storage closet to allow expansion of the current walk-in shower another 2 ft."
They got all that they asked for and so much more. With an entry this stunning, the walk into the new spa like master bath is almost as enjoyable as all its features. 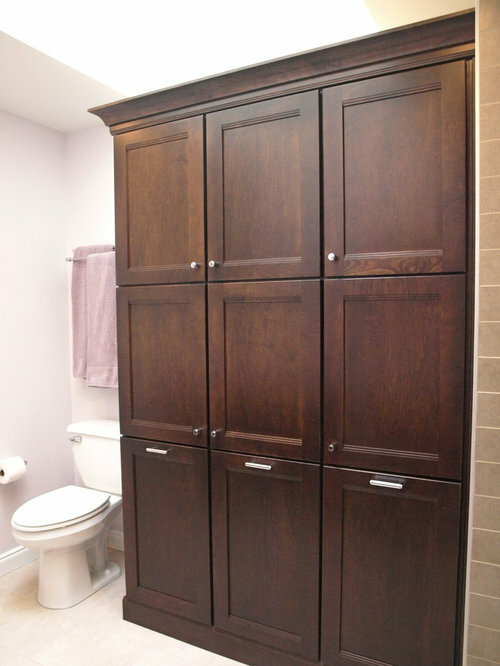 Tall cabinets offer tons of storage, Sliding glass doors into the shower add a bit of class, and of course there is always a place for your leopard printed robe. 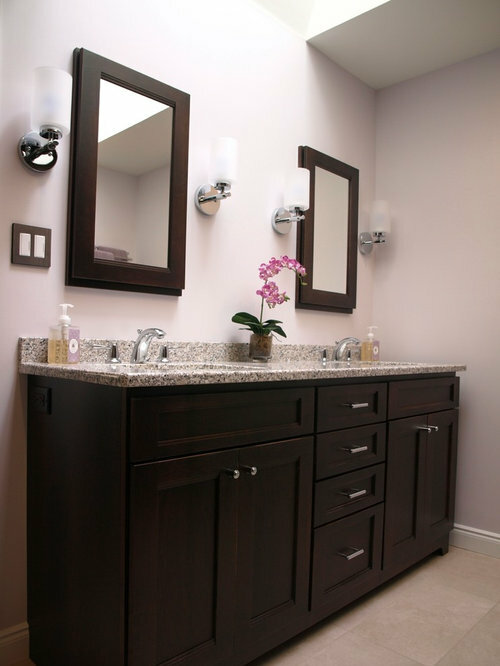 The symmetry of the double vanity holding his and hers sinks makes the space even more relaxing. 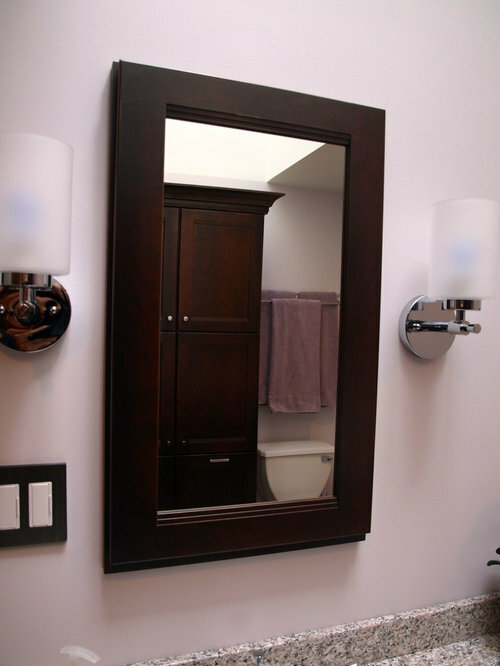 Each vanity section has its own double framed mirror flanked by beautiful frosted glass wall sconces. 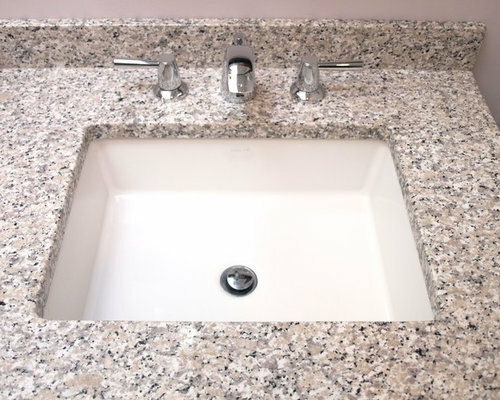 And square under-mount sink sits below a granite counter top with plenty of character. 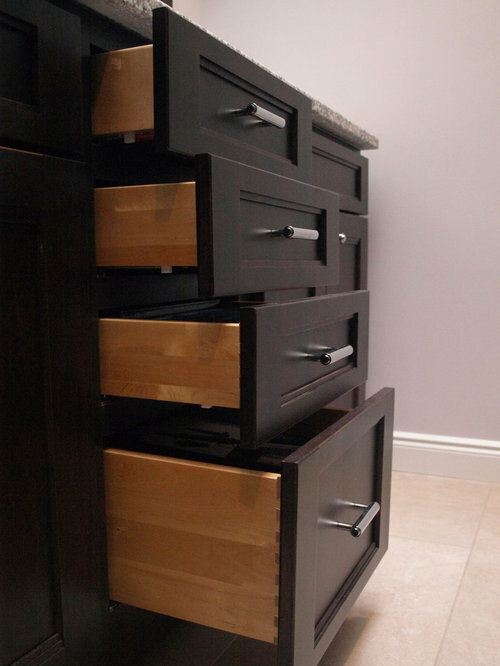 Flat panel espresso finished cabinet drawers are complimented by Hidra Pulls in polished Chrome. Tall flat panel espresso finished cabinets are complimented by Hidra Pulls and knobs in polished Chrome. 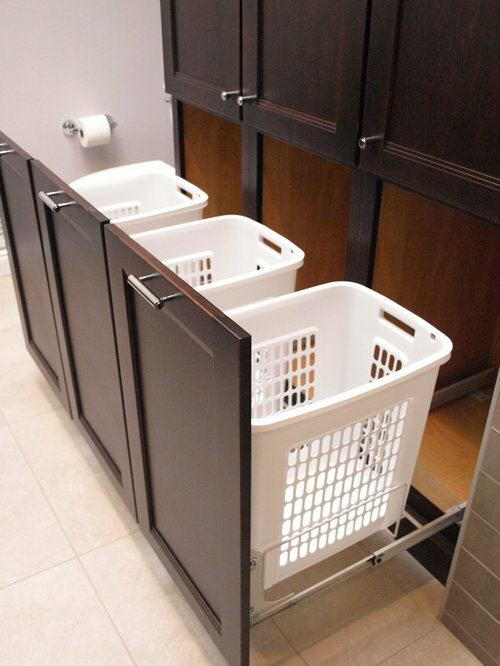 This custom piece adds valuable storage space. A custom piece built in cabinet has three pull out hampers as requested. Look what you can do with custom. A hidden surprise! 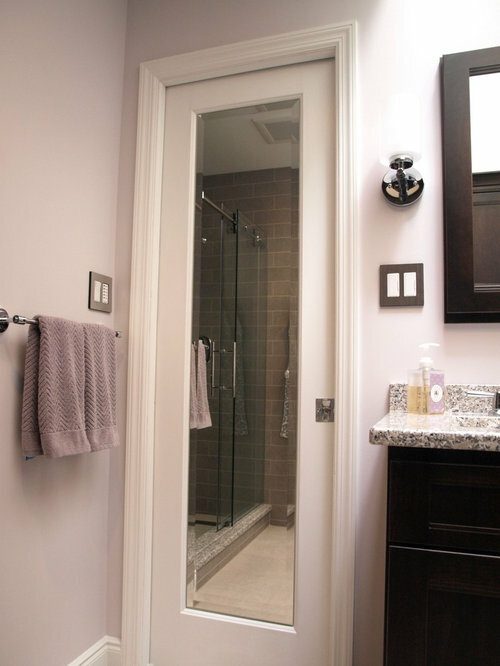 A tall mirror built into the custom pocket door to be tucked away when not in use, but easily accessible when needed. 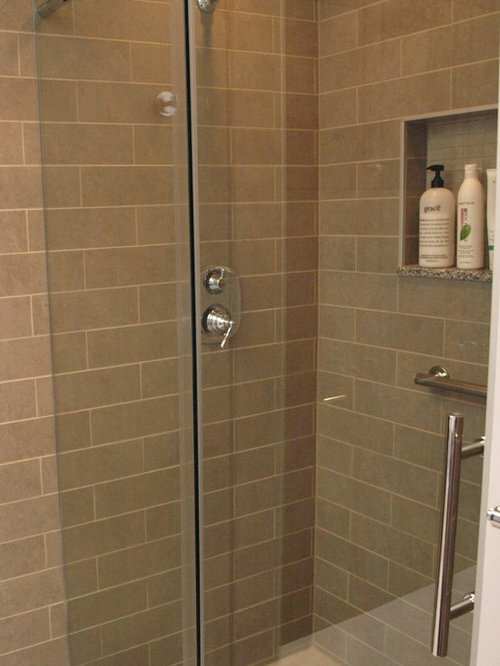 Sliding glass doors into the shower add a bit of class accented beautiful with the chrome rolling door hardware and sleek linear ladder pull. 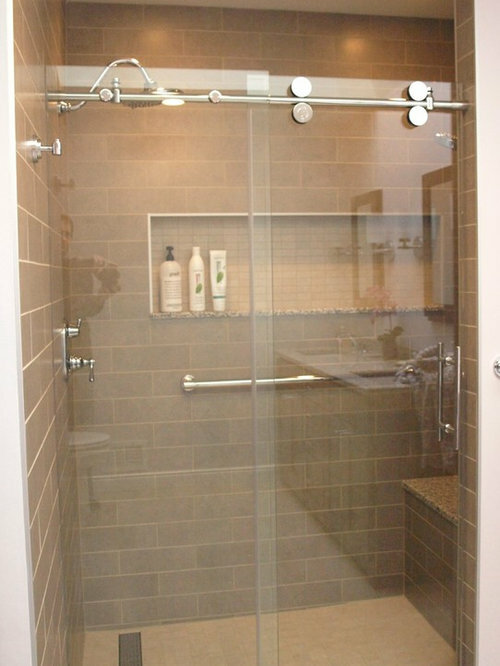 The brilliant glass shows the continuation of the crafty beige subway tile wrapping the bathroom walls. 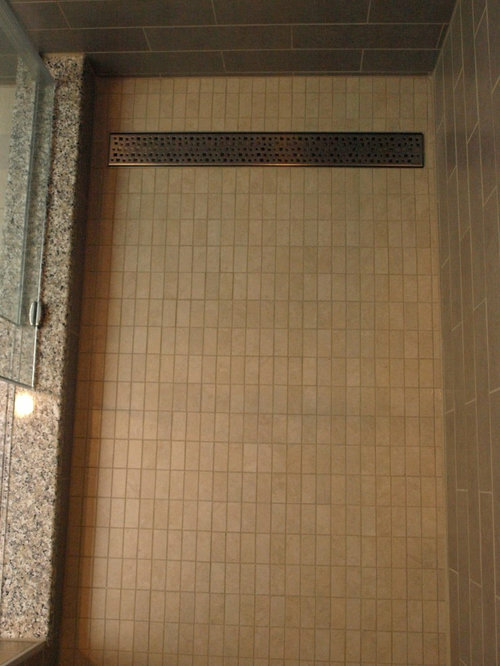 A linear drain keeps the view and shower floor sleek and clean. 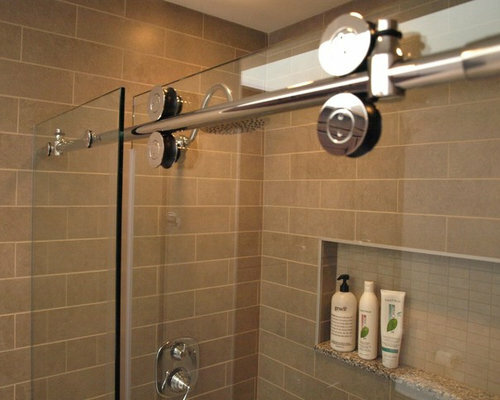 Sliding glass doors glide along the polished chrome hardware which stretches the length of the shower. Stops prevent the glass from slamming open and assist in creating a gentle stop. 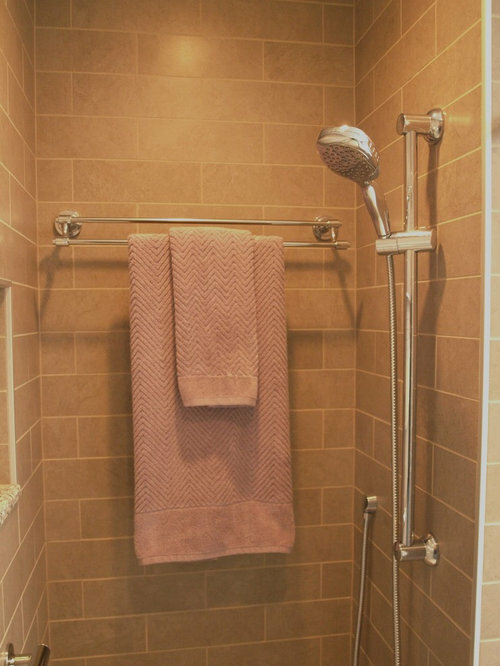 This shower is long enough to hang your towel on the rack inside the shower itself. No more reaching into the cold air or dripping water across the floor. 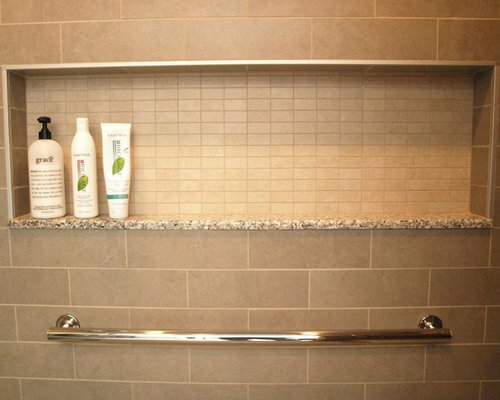 A long niche provides ample space for all your shower necessities. 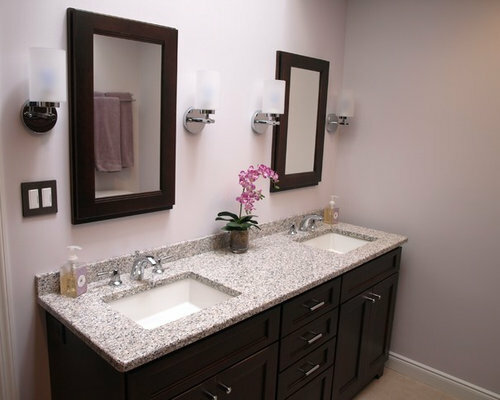 With a granite base to match the vanity top and shower curb, the design is complete and connected through every detail. A rectangular mosaic mimics the shape of the larger scaled wall tile but isn't demanding attention. The linear drain fits in perfectly with the mosaics creating a shower of clean lines. Finishing the shower curb with granite to match the vanity counter top really ties it all together. 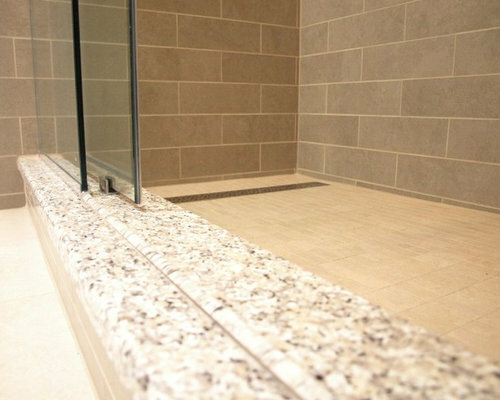 To prevent any leaking, a clear bead along the curb top shows how well planned this master shower is. 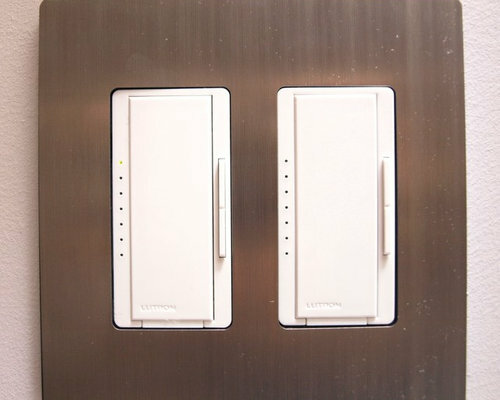 Modern metal switch plates add a bit of the 21st century into the space giving time limit options for the exhaust fan. 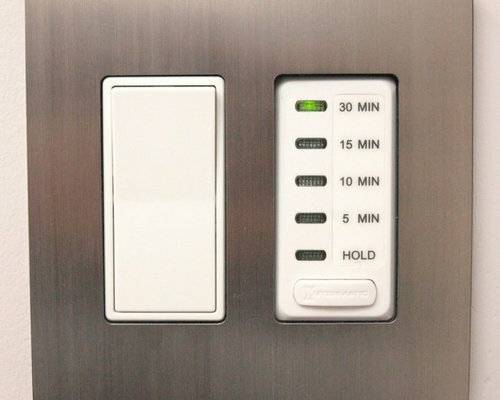 Matching modern switch plates are the home to the towel warmer controls.